Blow Bottle Drying Machine/Bottle Dryer---The machine was used for drying water from the outside bottle. Bottle dryer machine is used to blow the drips on the bottle surface by the high speed wind and make it convenient for labeling. The equipment is the linear structure, mainly made up of frame, air knife system , fan components, piping, electrical system components and so on. Features: The device adopts the leading international advanced air knife technology with stable performance, high visibility, high drying effect, suitable for medium and high-speed production line. 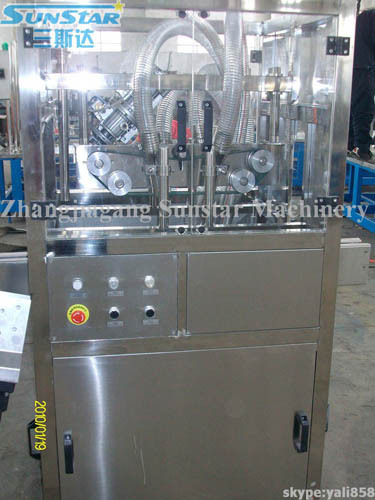 The air knife can rotate up and down ,right and left adjusting to dry areas and output level can be adjusted according to the size of air flow and the production capacity with simple operation .The device can apply for different type of bottles with no dust pollution caused by brush, maintenance-free, easy to clean the water from the bottles.